Would you like to be informed when new items are added to this site, and stay updated with Alicia's schedule for accepting custom orders? Sign up below! Your information will stay confidential and will not be passed on. 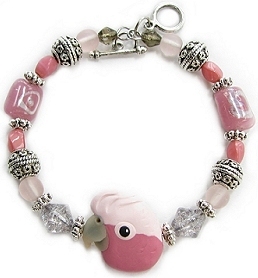 The pictures on this page are just a few examples of custom jewelry that Alicia has sculpted in this species. 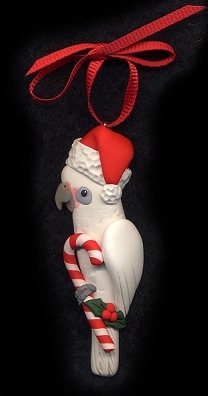 No molds or paints are used, just vibrant, lightweight polymer clay handsculpted with great detail! Every item is one of a kind, so your custom order will not be exactly like those shown below, and will be unique! Actual sizes vary, some photos may be reduced or enlarged. A glossy finish is optional on all items. 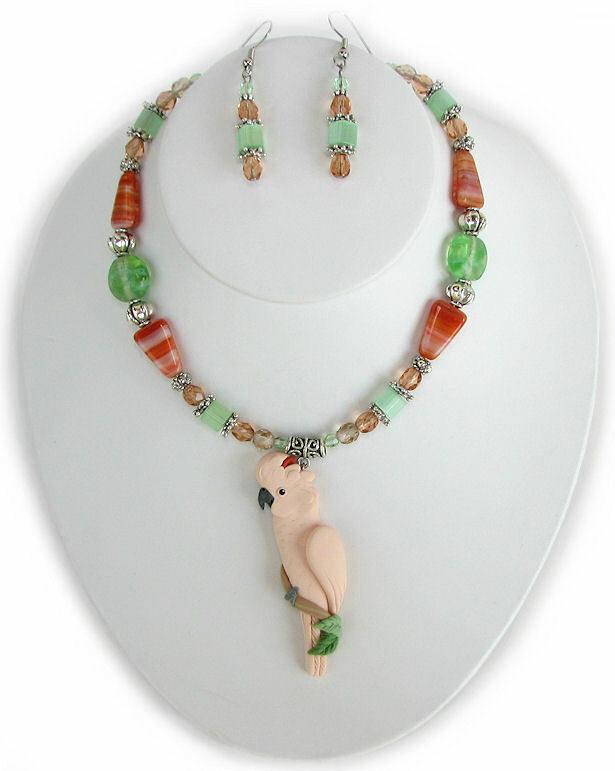 All items on this page are SOLD - to view items that are available for immediate purchase, see the Creations In Stock page. For information on custom orders, fill out the Custom Order Request Form. 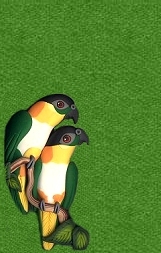 For pricing on custom orders, see the Item List & Prices page for a complete listing of items which can be custom made in your choice of species and combinations. 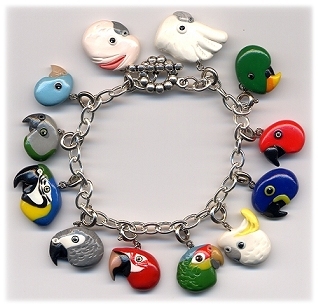 Custom bird face bracelet charms may be ordered individually, or as part of a simple sterling charm bracelet, as well as more intricate custom beaded bracelets. 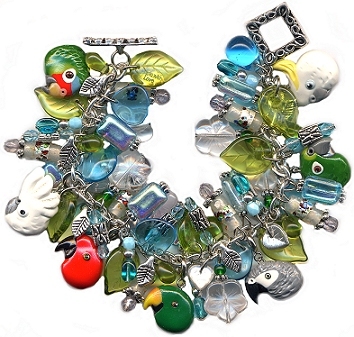 Each one of a kind necklace is made up of an assortment of beautiful glass beads and various metal beads on either side of your choice of bird(s), and hangs on a leather cord. 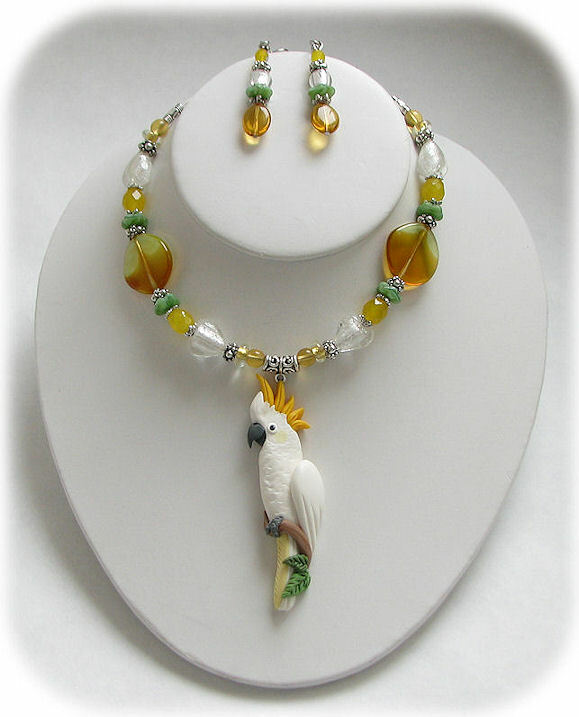 The color scheme will be chosen to match your birds, or to your specifications, and each bead is carefully hand picked, so each necklace is truly unique. 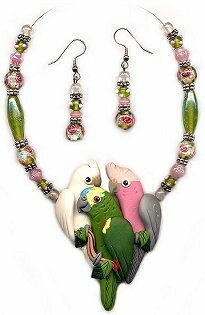 Several birds can be sculpted together to represent your family of feathered friends, and some examples of multiple bird pieces can be seen on the GLASS BEAD NECKLACE SETS page, as well as further details. Each necklace is finished with a lobster clasp, with a 3 inch chain extender making it adjustable. The necklace is finished off to your your specified length. 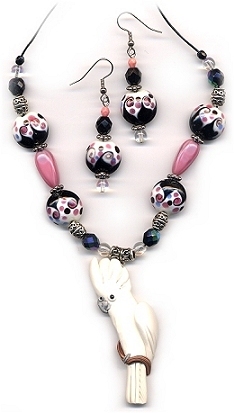 Remember, the exact bead style, size and color will vary, each necklace is one of a kind and unique! 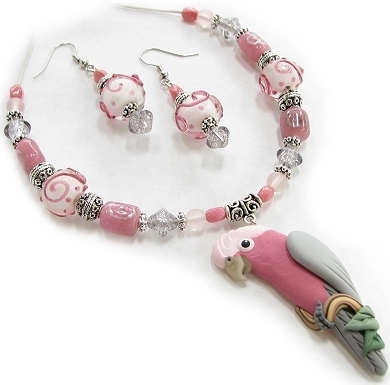 For custom orders, Alicia will consult with you on the color scheme and beads before your order is shipped to ensure that you are happy with the choices. 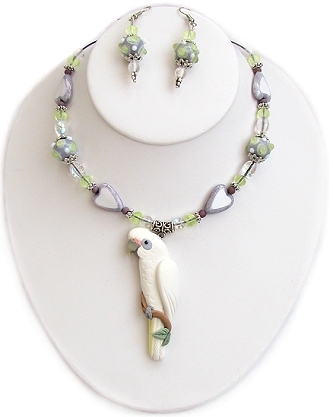 Photos shown here are examples only, see more photos on the GLASS BEAD NECKLACE SETS page. Click on photos below for selection & prices. No portion of this website, including all artwork, photos, and graphics, may be copied or redistributed in any way.